Hot Water Urn : Stainless steel. Dimensions : 400mm high x 300mm diameter. 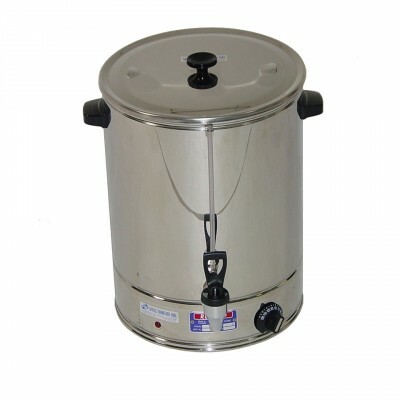 Features : 20 litre capacity, 2.4 kW element. Ideal for : Lunch rooms, kitchens, cafeterias and meetings.